Elite Angler Chad Pipkens tore it up to finish the 2015 Bassmaster Elite Series season including his strong 3rd place finish at the tough Chesapeake Bay tournament! 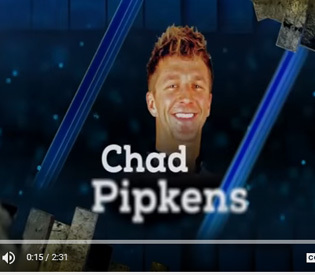 Pip gets some quality Bassmaster TV time in this video of a dramatic day 3 big bass catch, followed by the weigh in where Chad moved back to 6th place before finishing very good in 3rd place! Pipkens qualified for both the Angler of the Year Championship and his 2nd Bassmaster Classic with his hot streak finish and Chesapeake Bay really kicked things into high gear!